Prima saw SIP’s space wizard and panicked. 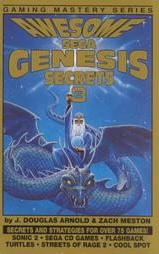 Worried that it would appear outdated in the midst of what it assumed was a new science fiction trend, Prima resurrected its dragon for Sega Genesis Secrets Volume 4, turned it into a space alien, and paired it with an armored medieval-future Predator. 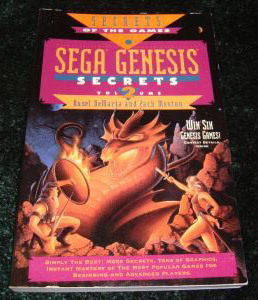 The message was clear: “We’re trying too hard.” Sega Genesis owners were not fooled, and continued to look to the Awesome series for the most tubular 16-bit strategies of 1992. 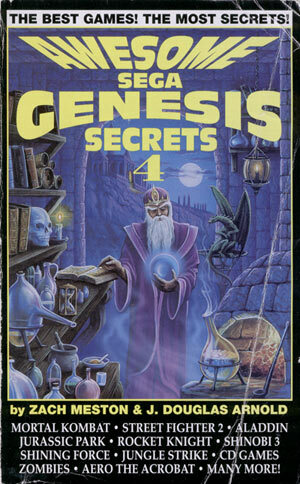 Realizing that it may have overplayed its hand, SIP scaled things back significantly for Awesome Sega Genesis Secrets 3. Here, wizard and dragon exist together in elegant simplicity. It’s not set in outer space. It doesn’t take place in the future. There are no Predators. This is simply a wizard and a dragon as God made them — a simple, necessary, and humble return to basics for a series that risked losing everything to the Sirens’ song of science fiction. 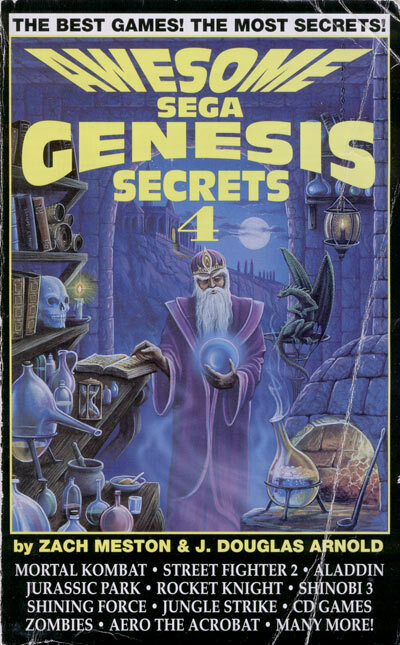 Prima, meanwhile, was firmly set in its ways by the time the final chapter in its Sega Genesis Secrets series went to press. The dragon is gone. Indeed, all forms of organic life have been sacrificed. 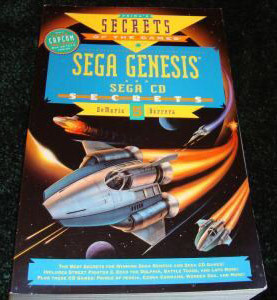 Instead, Prima relied on the infinite, lifeless vacuum of outer space to sell its strategy guides. How trite. How boring. Dragon: It’s more like a really big lizard, but yes. SIP’s reply — as if it needed to address the competition at this point — was its best cover yet. Note that the once-mighty dragon is now the wizard’s pet — a subtle jab at Prima’s notorious mismanagement of its dragon-related intellectual property. Here, strategy-hungry gamers at last got a peek at the wizard’s inner sanctum. Its treasure trove of hourglasses, potions, and vaguely threatening knick-knacks does not disappoint. 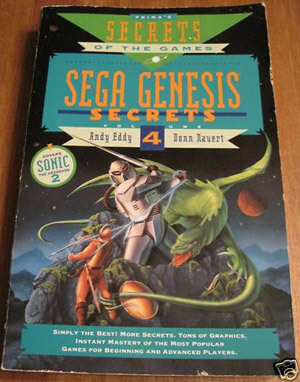 Trouble was brewing in the world of paperback-sized strategy guides, however. 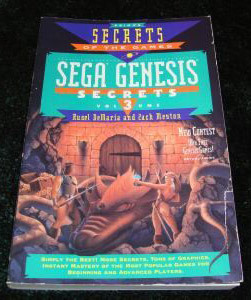 Sega’s dominance was weakened thanks to the failure of the Sega CD. The world’s fickle children were turning to the Super Nintendo Entertainment System for their gaming needs. And those children demanded hot cheats for Bubsy, The Rocketeer, and Harley’s Humongous Adventure. 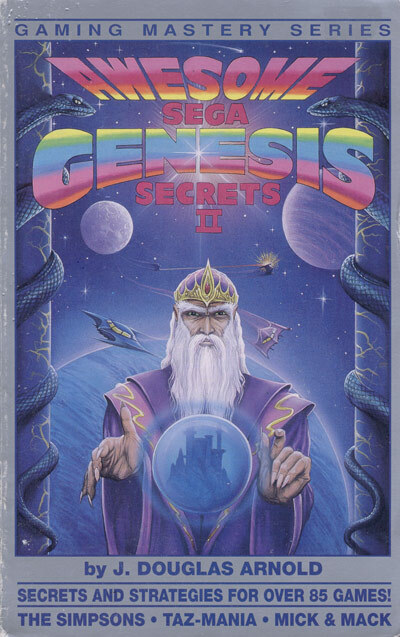 Wizards won the Sega Genesis war for Sandwich Islands Publishing, but who would champion its foray into SNES strategies? TOMORROW: More of this crap. This entry was posted on Tuesday, April 27th, 2010 at 6:04 pm and is filed under Scandalous Strategies. You can follow any responses to this entry through the RSS 2.0 feed. You can leave a response, or trackback from your own site. You didn’t mention that the last volume covers ZOMBIES, which clearly adds to its value. The Zombiepocalypse was still some far off legend at this point in time. But there was reference to Ninjas here, albeit no Pirates.